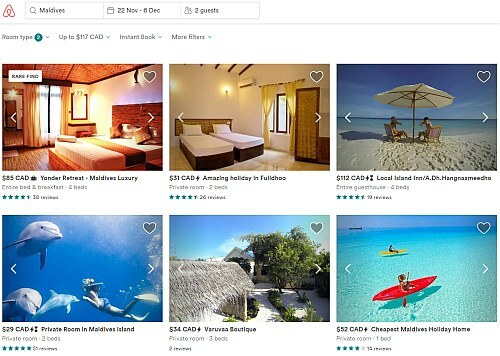 China Eastern has dropped the price of their October flights from Vancouver to Male, the capital of the Maldives down to $772 CAD roundtrip including taxes. This is 44% cheaper than the typical best roundtrip prices from Vancouver to the Maldives. The flights have 1 stop each way in Shanghai, China. The layovers are pretty long (7.5 hours). Although the overall travel time (26.5 hours) isn't too terrible compared to the fastest flights possible (around 22 hours, using Cathay Pacific). The key is that these are 1 stop flights. Historically, China Eastern has often had some cheaper flights to the Maldives that were ridiculously lengthy (such as 3 stops each way, with multiple 18-19 hour layovers). Hopefully they will start offering some more of these 1 stop flights for a low price. 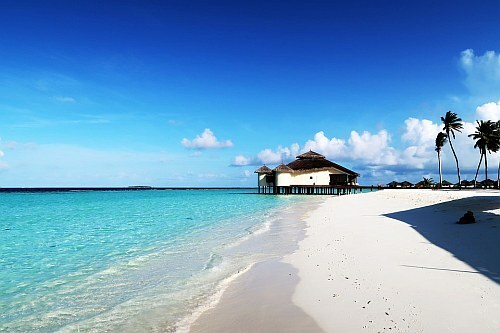 The best time to visit the Maldives is between November and April. November is generally the unofficial 'end of the monsoon season'. Update 8/31 - There are now some 1-stop flights from Vancouver to the Maldives in November, December, and January for $656 to $704 CAD roundtrip including taxes if you don't mind a 19 hour stopover in Shanghai, China on the way there. After your Momondo search completes, the booking site showing these for the lowest price is ClickMyTrip. They're a low quality booking site. You should also see a link to ITravel2000 for $19 more if you want to book them through a site you've heard of. NOTE: When your Momondo search completes, you may need to click on '1 Stop' on the left hand side to see these flights. They should look like the flights in the screenshot below. It shows 40 hours on the way there because the 19 hour stopover in Shanghai is included in the duration time. How much does it cost for accommodations in the Maldives? Taking a look on Airbnb, the average price for 2 people ranges from $110 CAD/night (private room) to $150 CAD/night (entire place). There seems to be places with good reviews in the $85 to $100/night range. vancouver, yvr, flight deals, asia, china eastern airlines, south asia, male and mle.